Our workshop is the expression of 50 years of history of an italian family. The tradition of italian gunmaking reaches hear the top, in the daily work of a passionate group of craftsmen. Today Piotti’s workshop is a family company, 14 people for a very small production. 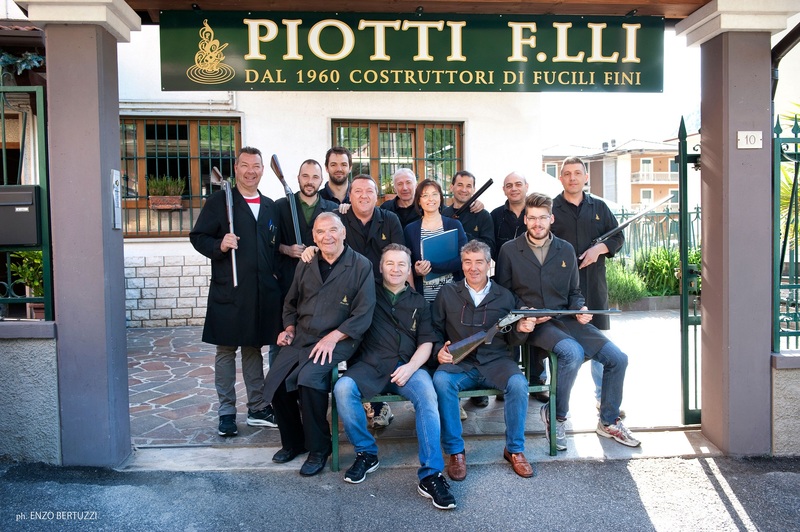 The four of us Piotti Brothers, Manuel, Fabio, Sergio and Rudy, are interpretating tradition and present becoming a guidelight for all the fine art guns lovers. We are a company where high technology and manual craftmanship come together in the daily work at the bench. Our shotguns are mechanical and aesthetic masterpieces, perfect sport guns or unique pieces for collectors, full of history and sensations. 100% Made in Italy.